This living history program commemorates the founding of Fort Mose in 1738. 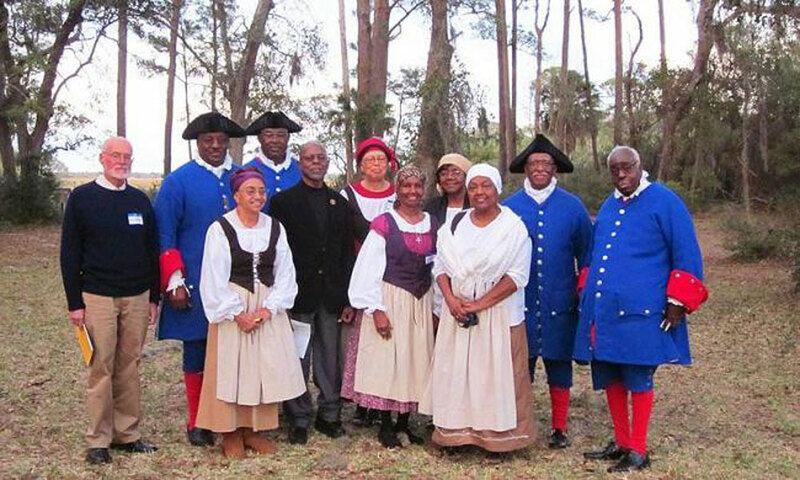 The Founding of Fort Mose event marks the 280th anniversary of the founding of Fort Mose and the granting of freedom to Capitán Francisco Menendez and the members of his African militia. The commemorative event takes place on Saturday, March 17, 2018, from 9:00 a.m. to 4:00 p.m., and includes fascinating lectures, weapons demonstrations, and much more, presented by the Fort Mose Historical Society, Florida Living History Inc., and Fort Mose Historic State Park. In March 1738, the fortified village of El Pueblo de Gracia Real de Santa Teresa de Mose was established by Don Manuel de Montiano y Luyando, royal governor of Florida. 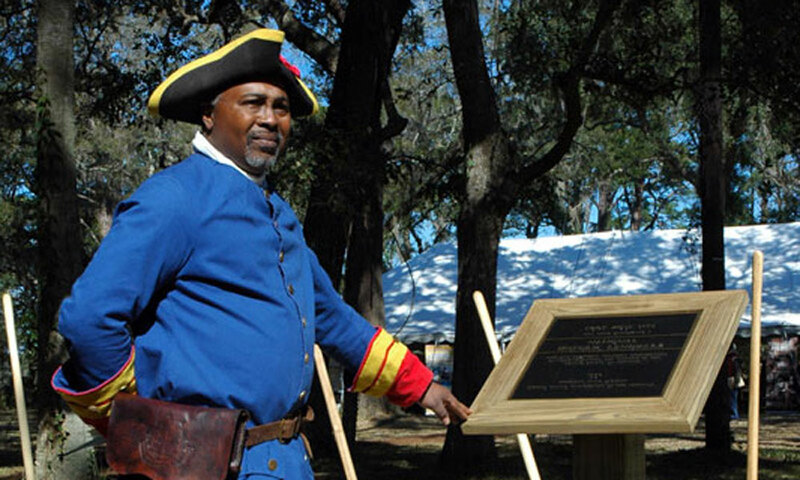 Located just north of the walled city of St. Augustine, it was the first legally sanctioned free black settlement in what is now the continental U.S. Montiano also named Capitán Menendez, head of Florida's African militia since 1726, as the settlement's leader. The event begins with a reenactment of the reading of the governor's proclamation that extended freedom to Captain Francisco Menendez and his fellow militiamen and established Fort Mose. The blessing of the site by Franciscan Friar Don Joseph de Leon will also be reenacted. There will be a historical presentation in the Visitors Center, followed by a Middle Passage Remembrance Ceremony. Living history volunteers in period dress will be on hand throughout the day, offering visitors a glimpse into the past as they re-enact colonial life at Fort Mose. Admission to the event is free; there is a charge of $2.00 for adults (children 5 and under are free) who wish to enter the Visitors Center museum. When: Saturday, March 17, 2018, from 9:00 a.m. to 4:00 p.m.
Where: Fort Mose is located at 15 Fort Mose Trail in St. Augustine. For more information on this event or on the park, please call (904) 823-2232 or visit here. Fort Mose has been recognized for its national significance and was designated a National Historic Landmark in 1994.